OK, so most of you probably didn’t know it was gone (and for most of you it wasn’t), but back in June of 2010 the Oregon Liquor Control Commission published a new interpretation of an old law, which in effect banned home brew competitions at county and state fairs. In fact, they also stretched that new interpretation to include serving home brews anywhere outside of your own home. That meant that home brew clubs couldn’t meet to sample each others brews, and technically you couldn’t even bring a few bottles of your latest concoction over to your buddy’s Sunday afternoon grilling session. The relevant portion of the old law read: “No person shall brew, ferment, distill, blend or rectify any alcoholic liquor unless licensed so to do by the Oregon Liquor Control Commission. However, the Liquor Control Act does not apply to the making or keeping of naturally fermented wines and fruit juices or beer in the home, for home consumption and not for sale.” This law had in fact been on the books for 30 years, but the OLCC (in their infinite wisdom) decided to strictify (my word) their interpretation of this law, as well as its enforcement practices. Fortunately, given Oregon’s love of all things involving craft beer, a serious ruckus was raised from Astoria to Jordan Valley, and our lawmakers decided to pay attention. Today the Oregon House unanimously passed a bill to rectify this situation (it had already cleared the Senate). As a bonus, the bill contains a provision wherein home brewers can receive a tax deduction for donating fermented beverages to a non-profit organization. Yup, you can now reduce your taxes by brewing beer. Nice work Oregon! The bill heads to Governor Kitzhaber’s desk for his signature, and would go into effect immediately upon being signed. Since the bill passed the house unanimously (and that it’s probably the most popular piece of legislation that will be floated this session, or perhaps ever), I think we’re in pretty good shape. 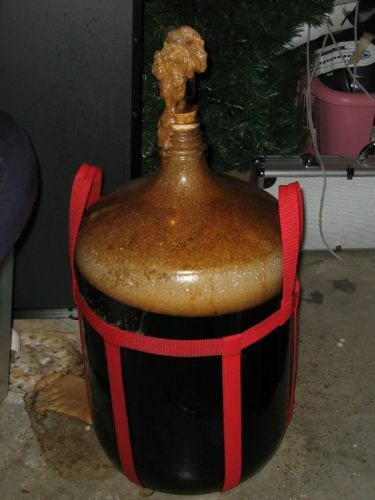 Posted in Beer Culture, Brews in the News.Tagged Home brewing, Oregon. What countries is this Oregon? I thought you lives in Canada! I always thought it was legal to carry small amounts of home brew in Oregon, so long as you had a card stating you were a “medical home brew” patient. I think that was only true if the beer was brewed with ‘hemp’. I started brewing it December. It is the perfect hobby and great for the local economy too. Glad to hear the good legislation news. I’m seeking out, reading about, writitng about buying, drinking and even making craft beer voraciously very since. Support your local brewery and your LHBS. Oregon is a notorious for it’s hop growing industry, they grow like weeds out there.